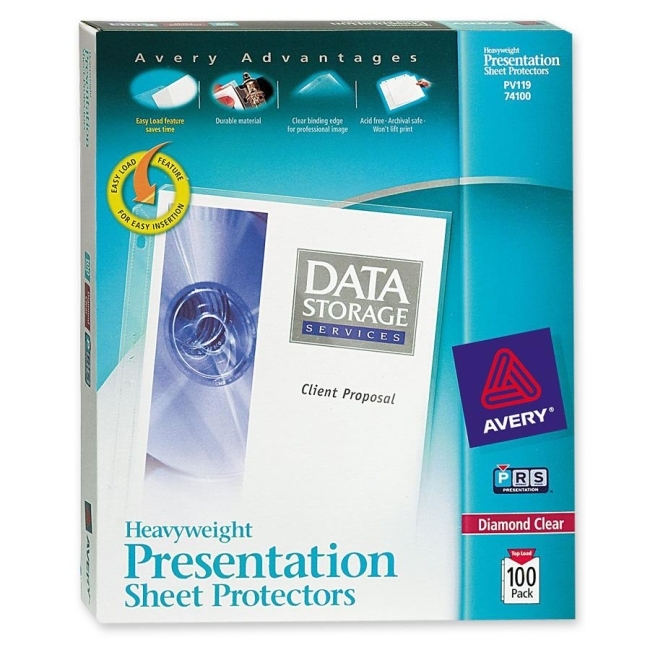 Sheet protector refills feature diamond-clear material that makes documents easier to read. Designed for use with Avery Landscape Format Presentation Easel Binder. Thick, durable, nonstick polypropylene is archival-safe, acid-free and won't lift print. Save time with Easy Load feature. Sheet protectors offer a top-loading design and a clear binding edge for a professional appearance. Hole-punched to fit into binders.